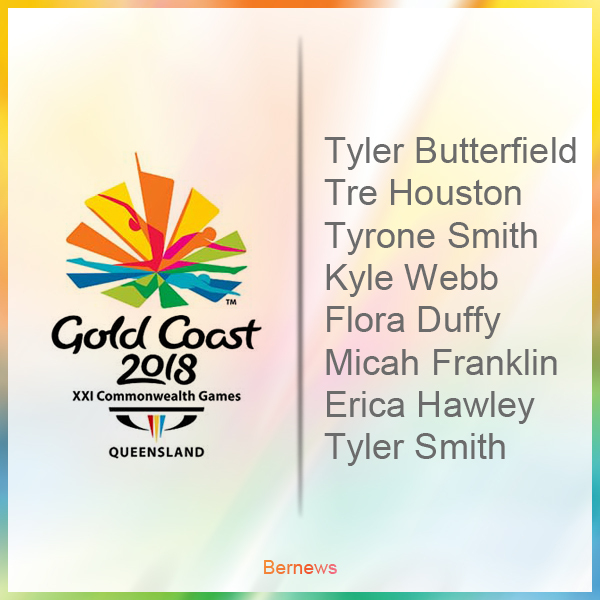 The Bermuda Olympic Association [BOA] officially announced that the flag bearer for the Bermuda at the 2018 Commonwealth Games in Gold Coast, Australia will be Tyler Smith — the youngest member of the Bermuda delegation. The BOA said, “Tyler is a Youth Olympic Games competitor [Nanjing 2014], two-time Junior Male Athlete of the Year [2014 and 2015], finished 11th at the Junior World Championships in Rotterdam  and was ranked 2nd overall in the Americas region in 2017. Tyler will compete in both the men’s individual triathlon and the mixed team event in the upcoming Commonwealth Games. Bermuda’s Chef-de-Mission for the Games is Katura Horton-Perinchief. Bermuda first competed in the Commonwealth Games in 1930 at Hamilton, Canada and has only missed four editions of the Games. The country’s first medal came in Kingston in 1966 with John Morbey’s silver medal in men’s long jump. The 1990 Games in Auckland produced the first gold for Bermuda when Clarence Saunders took gold in the men’s high jump.